Enhancing IaaS with Managed Services | Faction Inc.
For years, Faction has delivered world-class infrastructure through traditional means of provisioning compute, storage, and network environments. With public cloud providers able to quickly turn up massive Software Defined Data Centers (SDDCs) wrapped with DIY “lightly-managed” services, Faction’s niche has been secured through its focus on quality, customization, and channel-directed engagements. According to Markets and Markets, the managed services space will grow to $193B by 2019 with a Compound Annual Growth Rate of 12.5%. Since 2012, channel partners have been wrapping Faction’s globally-available infrastructure with simple managed services (backup, VPN, monitoring, etc.) But, client demand for a more integrated ecosystem of truly managed services has spiked and Faction is addressing this pent-up demand by deploying services to easily handle complex business needs: hybrid disaster recovery (HDRaaS), data protection, security, and managed NOC/SOC/SIEM which address key business needs across client on-prem and cloud environments. Why the increase in interest and adoption of Managed Services? Client and channel partner interest in Faction’s managed services is extremely high and adoption has been smooth and rapid-fire. Just a few years ago, cost savings were the primary driver of managed services adoption. generating new revenue where only costs existed before. Frost & Sullivan’s survey targeting C-level executives reveals that 62% of respondents’ organizations currently use managed services and two thirds of those plan to increase adoption in the next 12 months. Of all current managed services users, more than one third have adopted this model because they lack in-house expertise in new or specific products. More often than not, enterprises that attempt these initiatives in-house through the creation of Centers of Excellence discover the strains put on their IT personnel distract them from higher-value targets: application feature development, business process enhancement, and security hardening. To offset this strain, innovative organizations are turning to managed services to handle many of the time-consuming, high complexity, or repetitive and error-prone IT tasks. 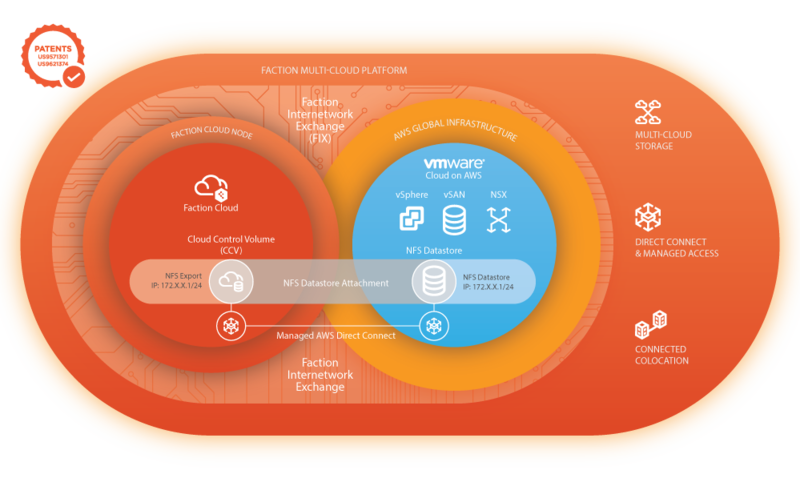 Faction’s Managed Services offerings provide rapid ROI and peace-of-mind for disaster recovery, security, OS management, firewalls, storage, and systems monitoring. Managed Services aren’t just for large enterprises; SMBs are undergoing digital transformation just as surely as their larger competitors. Regardless of company size, data is the single-most critical asset today since it delivers real-time key business metrics, marketing analytics, and positive customer experiences. Protecting data has become paramount, as a data loss could happen at any time and have devastating impacts. Working with an MSP to protect critical information from internal and external threats, and to develop a strong disaster recovery plan minimizes Recovery Time and Point Objectives (RTOs and RPOs), safeguards computer systems, and ensures that data remain secure and recoverable should the worst happen. What’s driving the Managed Services conversation? While the drivers for managed IT service adoption are changing, so is the conversation. In most scenarios, there is far less discussion about any one technology stack and much more about how managed services help clients advance business their objectives. To that end, Faction has developed a suite of à la carte managed services which support clients’ unique business imperatives. At Faction, we believe that infrastructure should become an afterthought. The first key value proposition for using managed IT services is simple – managed services allow companies focus on core business objectives: generating leads, growing sales, increasing customer satisfaction, and tapping new sources of revenue instead of having to focus on growing technical staffs and infrastructure sprawl. Just as important: predictable spending. Managed Services clients want to know in advance how much they can expect to spend so the recurring monthly billing model is a key advantage. Faction clients know that their managed services will be billed the same price every month. This will allow them to budget and plan ahead more effectively. It also helps them avoid unscheduled expenses due to unplanned outages, which could end up costing more in the long run and would place added strain on IT and the business. Lastly, insurance for your business: data protection and managed security services offer total protection for business-critical data and infrastructure. Clients get peace of mind that comes from knowing their business will be safeguarded against future data loss scenarios. If you’re interested in learning more about Managed Services from Faction, contact us here.